Sometimes the nicest (and most natural) thing is to simply go for a walk. Barcelona is a city with incredibly rich heritage and history, so where better to explore at a leisurely pace with your family? If fresh air walks in the Spanish sunshine sound appealing to you, grab your walking boots and check out the following walks. We wish you a lovely stay at our family hotel in Barcelona! 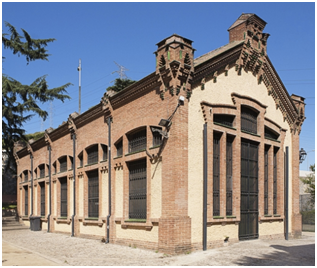 The Casa de l’Aigua (meaning House of Water) is currently offering a guided tour on foot, where they’ll educate attendees on points of interest around Barcelona’s Nou Barris district. This runs for free from 12th February until 26th March 2017, which is good news for families on a budget. 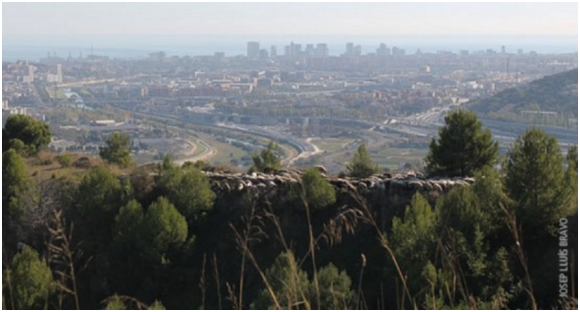 Facilitated by ‘environmental educators’, walk will start off at Casa de l’Aigua and meander to the Torre Baró castle. Along the way you’ll encounter Pont del Tres Ulls, find out all about Collserola natural park and river Besos, and get the history on l’abastament water in Barcelona; you’ll also behold the ‘bridge of three eyes’ and some pretty fields full of thatching grass. The views on offer make this walk particularly appealing, and you’ll be given a thorough insight into the heritage of the area. Josep Altimira is remembered as an eccentric millionaire nicknamed the “Count of Monte Cristo”; he was a Freemason stock market investor who came back to Barcelona in the 1860s. Altimira was said to have trained an orangutan to serve drinks up at his parties! He passed away in 1900, apparently due to his extravagant lifestyle. His property was left to a group of nuns known as the ‘Missionary Sisters’, and their successors can still be found on the property today. The gardens, however, are public property. Altimira’s gardens are no ordinary gardens; within their parameters you will find a zoo, subterranean galleries, a hypostyle room, a hall held up by pillars and much decoration in the form of esoteric symbolism. 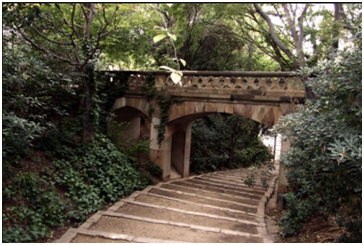 As part of Barcelona’s visiting public, you and your family are more than welcome to explore Altimira’s gardens. We recommend you don’t miss out on this fascinating experience. Enjoy your family stay in Barcelona, and don’t forget your walking boots!